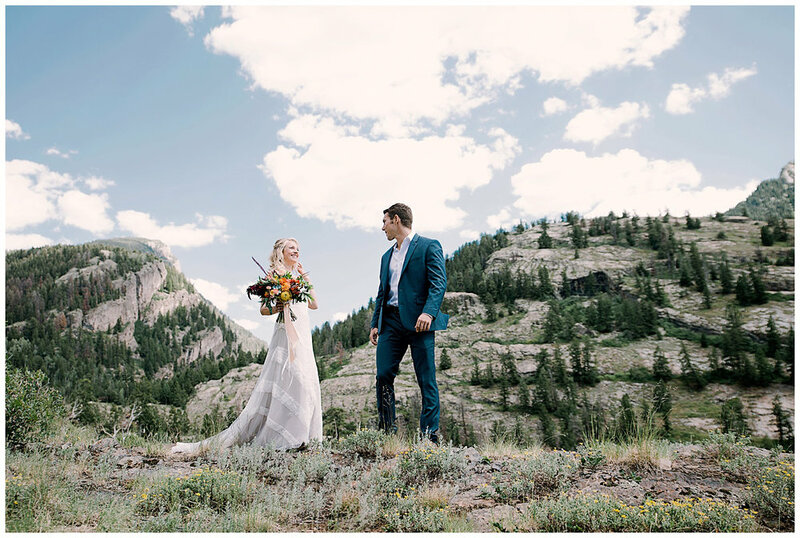 For their adventurous outdoor wedding, Malory and Z chose an intimate and secluded venue in the mountains of Marble, Colorado, a VRBO called Marble Lodge on Beaver Lake Retreat Campus. Marble sits on the backside of the Maroon Bells Wilderness which has some of the most iconic views of beautiful Colorado. 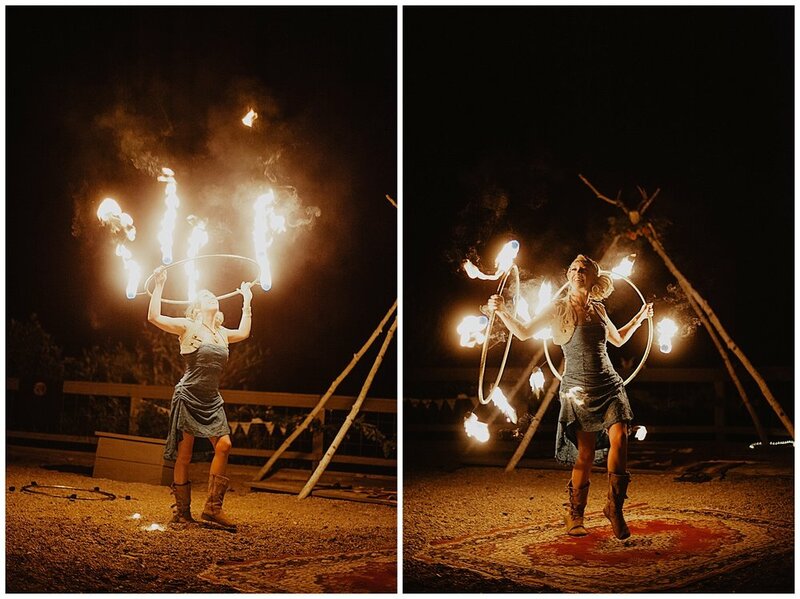 I had never photographed at this venue but knew it had to be gorgeous since it backed up into the wilderness area. When I arrived I found the Marble Lodge tucked away, above the town, with an absolutely stunning view of the surrounding mountains! The best part? No cell service! This meant each and every guest was present, had no distractions of our often busy lives, and were able to relax and enjoy time together in celebration. 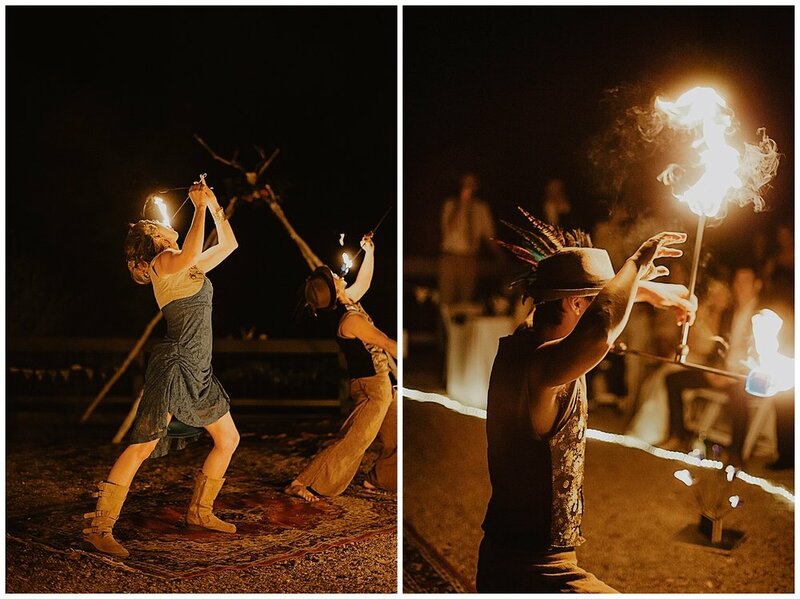 This beautiful space is where Malory and Z vowed their lives to one another, danced the night away with fire, and even got naked in nature (several times, see photos)! Before I get too far into the story, let me hit rewind and tell you how they began this journey together. 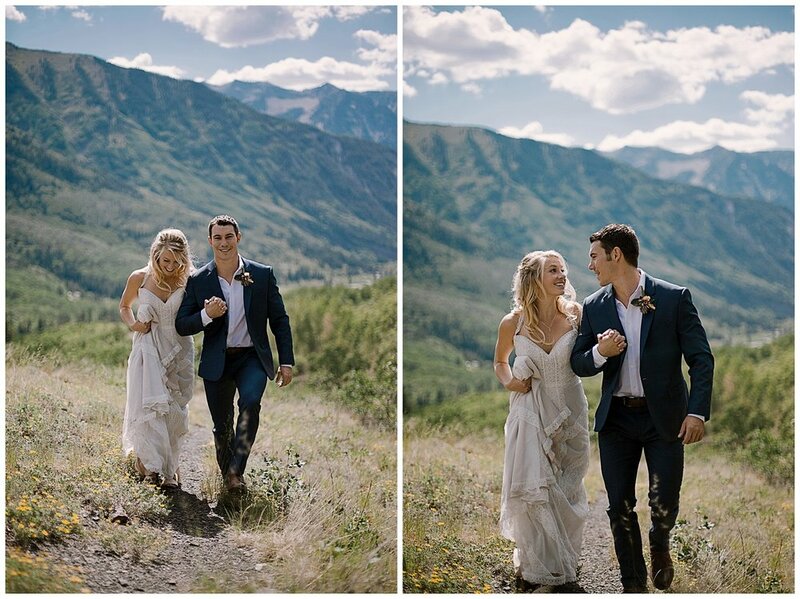 Z and Malory met in Golden, Colorado, through mutual friends, and quickly became adventure buddies. They spent time together snowshoeing, climbing, hiking, and running (Malory is an Ultra Runner and killing it on the Ultra scene! Check out her last race here). 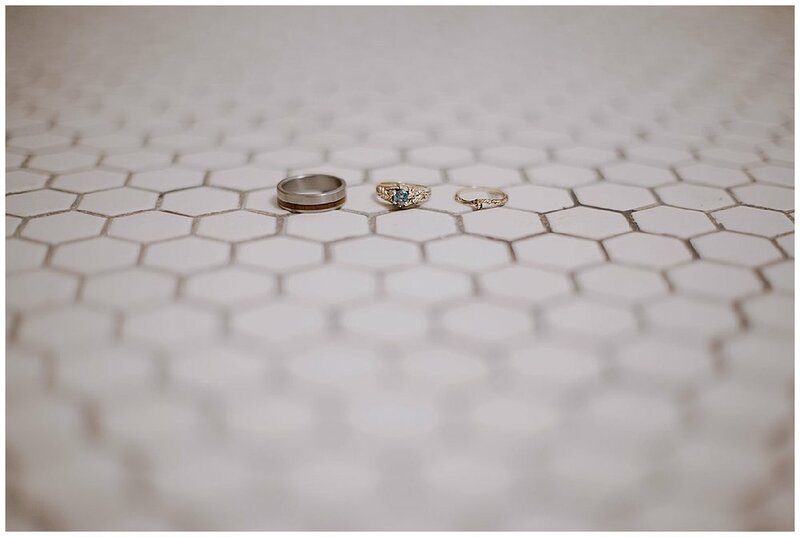 Life ended up taking them separate ways and the two stopped talking for almost a year. They both admit that they constantly wondered what the other was up to and Christmas of 2014 they reconnected. Soon, they realized that their connection was more than just friends and they began dating. Within that same month, Z graduated from the Navy, and Malory moved with him to Hawaii to begin their greatest adventure yet. 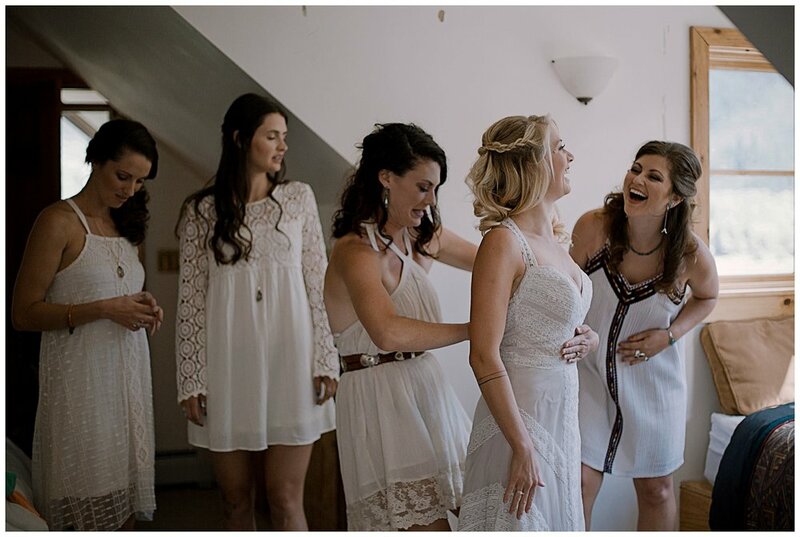 Malory and Z’s ceremony began with siblings and friends serenading the guests. Rijan, sang an original piece he wrote for the wedding and Collin and Heidi sang "Atlantic City" and "If I Were a Carpenter". The vows revolved around a non-religious ceremony with readings of Carl Sagan from the Pale Blue Dot, Cosmos, and Billions and Billions. 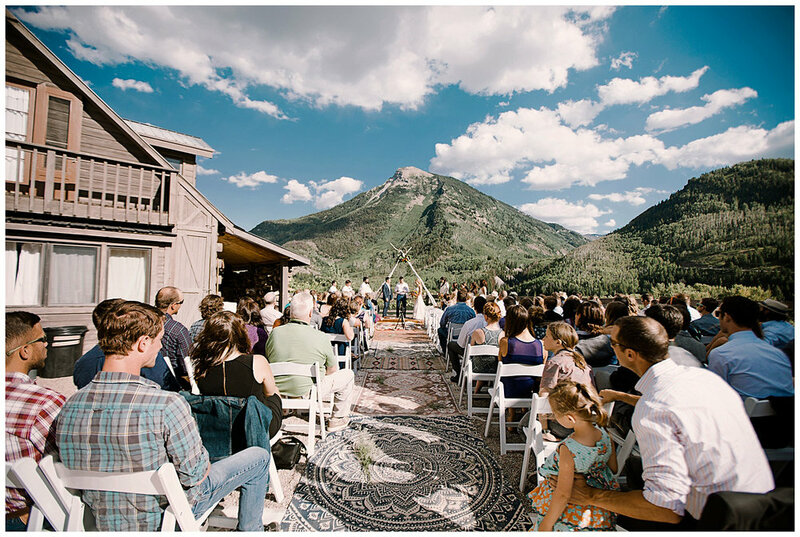 The ceremony wording was extremely special to Malory and Z, who spent a lot of time discussing which readings/ceremony language they wanted to include and what would be the best fit for representing their love and worldview. Their vows ended with a long kiss, Z dipping Malory to everyones whistles and cheers! Malory and Z also made a point to have a 'Green' wedding. This included using online invitations to reduce their paper waste and they also used compostable dinnerware. All of the decor they purchased was bought from second-hand stores and the centerpieces for each table were boxes of potted herbs. The boxes were hand made, re-purposed from old fencing, and the herbs and succulents all came from Malory’s mothers garden. The skulls were from her family’s own personal collection (her father and brother are in Zoology). Cocktail hour hosted excited smiles, happy tears, and all of the hugs. The ceremony site switched to reception seating for dinner and the dancing and drinking began! 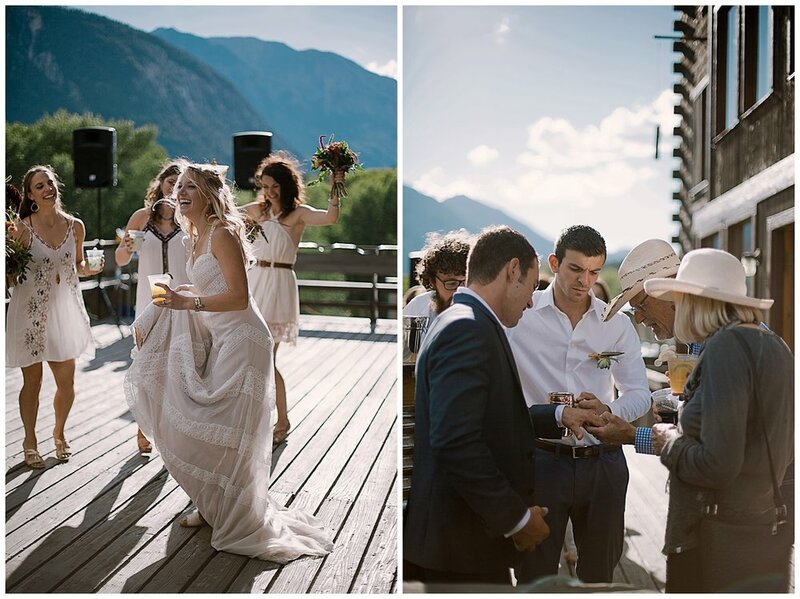 As the sun slowly set behind the mountains, the DJ called everyone to the dance floor for Malory and Z's first dance. The first dance was followed by the most incredible father daughter and mother son dances I've ever seen. 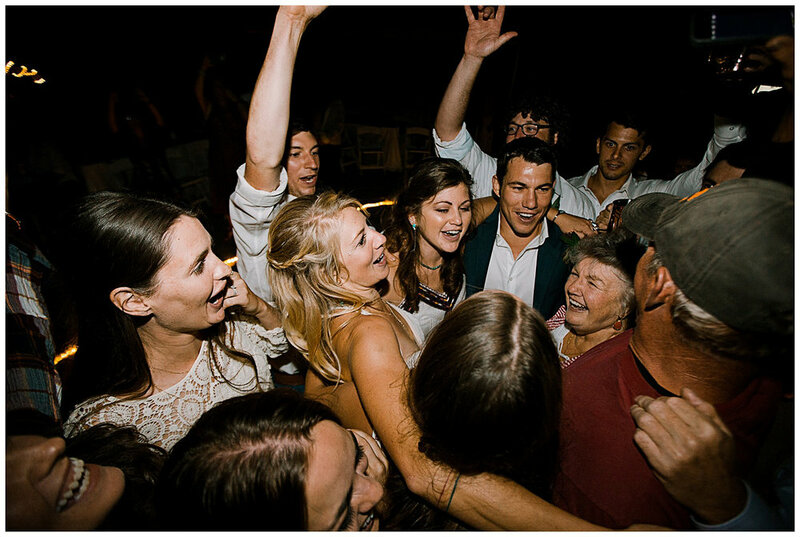 Both revealed impressive swing dancing skills and while one ended with the bride being flipped, the other ended with the groom backflipping himself. 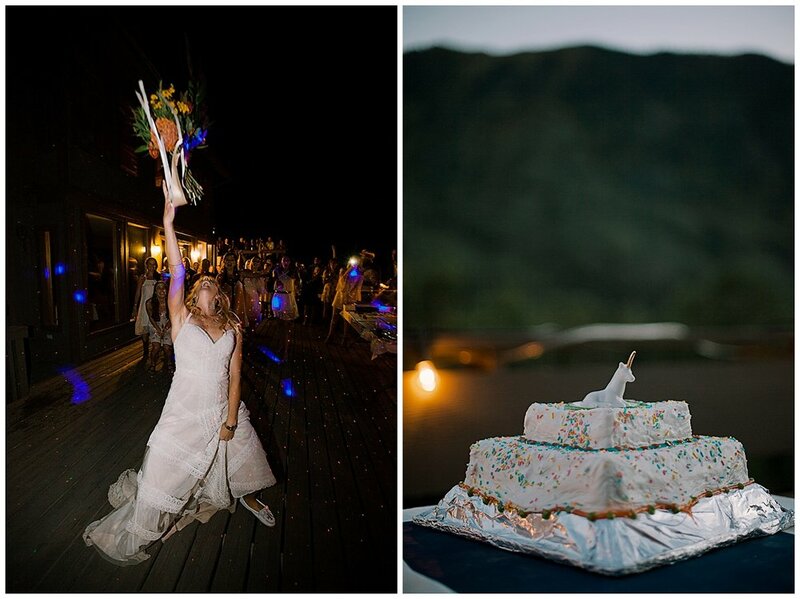 These two really know how to party and have endless party tricks to keep guests smiling from ear to ear! As the dancing slowed and the evening came to a close, Malory and Z asked all of the remaining guests to take a seat for one last dance. 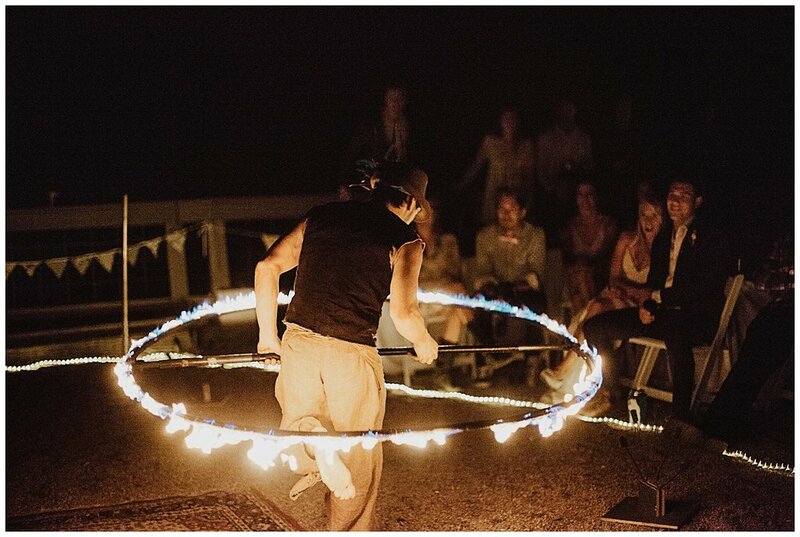 Soft music began as two dancers walked out with small flames of fire. 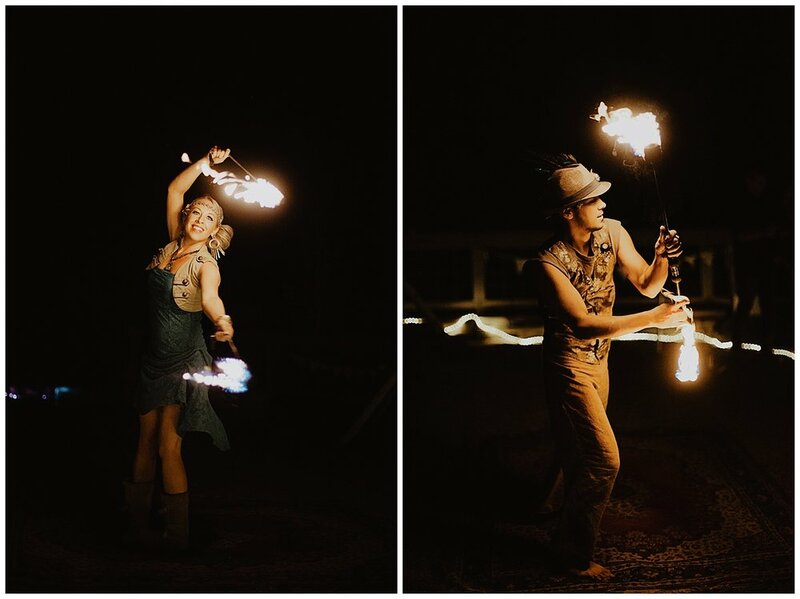 To entertain their guests and honor their new life in Hawaii they hired Lumina Entertainment to dance with fire for the crowd. 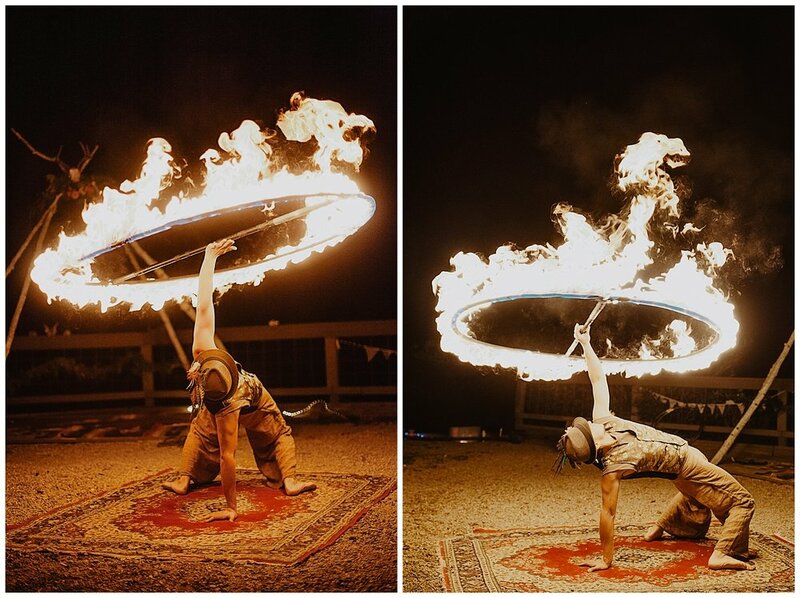 It was fascinating to watch them dance together while avoiding the bright flames that followed them gracefully around the stage. 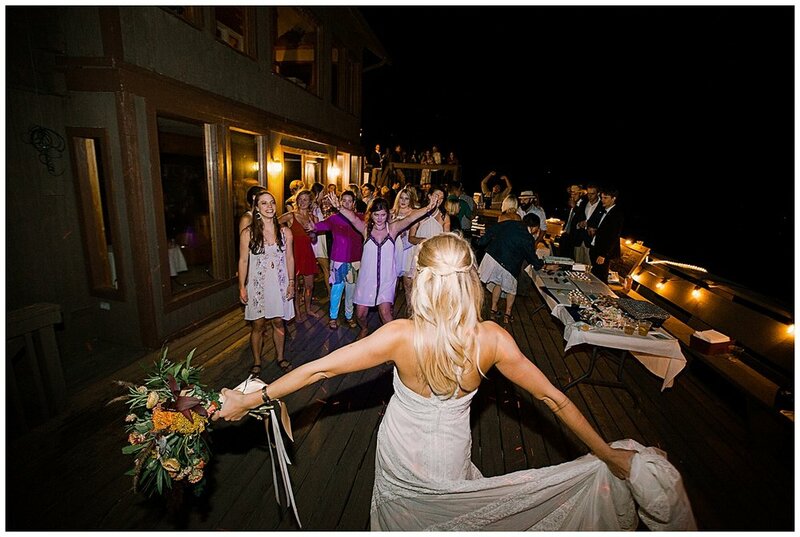 When the dance began to wind down, they asked Malory and Z to join them. The newlyweds kissed behind the flames and I took my favorite photo of the night. (Make sure to scroll to the bottom to not miss out!) Guests began the walk to their cars and the bridal party took one last photo together before heading towards the glowing campfire. Malory's brother, Collin, pulled out his guitar and the last few guests took turns singing songs and sipping wine. I sat near Malory and Z and watched them smile happily at one another. 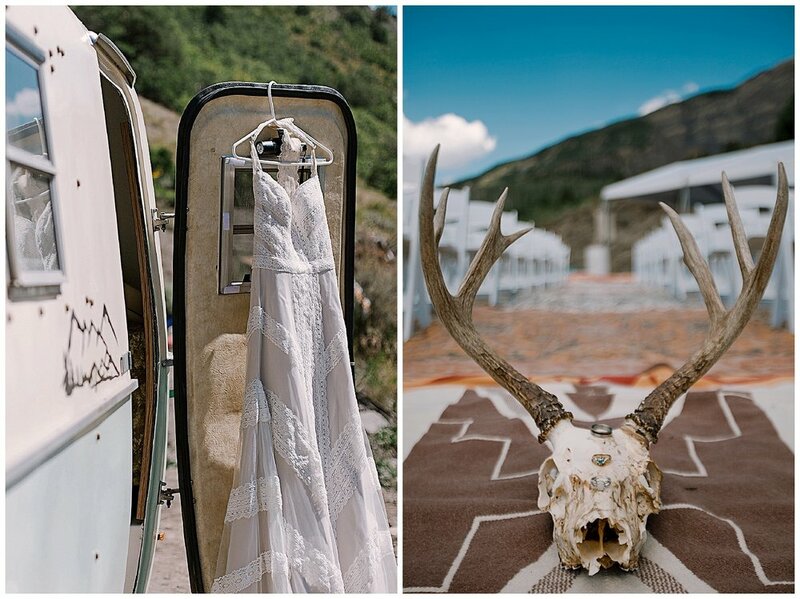 From adventure buddies to husband and wife, they spent the last of their wedding day with their closest friends, hearts full as the evening dwindled away.